Killeen Police Investigate Shooting on Goodhue Drive. 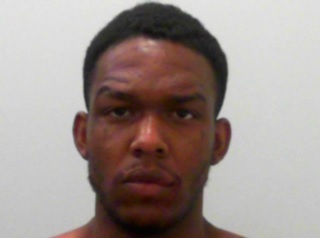 On Thursday, January 28, 2016, this case was reviewed by the Bell County District Attorney’s Office and complaints were returned charging 20 year old Brodrick Jarod Hill with Aggravated Assault with a Firearm and Felon in Possession of a Firearm. Justice of the Peace Bill Cooke set his bonds at $500,000 and $100,000 respectively. Mr. Hill is currently in the Bell County Jail and the victim is in stable condition at Baylor Scott & White Hospital. Officers responded to the 1200 block of Goodhue Drive after receiving a 911 call telling them a female had been shot on Tuesday, January 26, 2016, at 2:19pm. Officers arrived and found a female inside a silver Honda Accord, suffering from a gunshot wound. The victim was transported to the Carl R. Darnall Army Medical Center in critical condition and later airlifted to the Baylor Scott & White Hospital, where she remains in critical condition. The officers were told the suspect had fled the area on foot and were given a description of him. 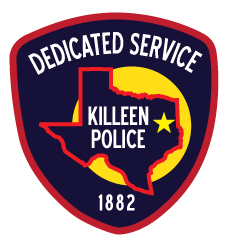 Officers remained in the area searching for the suspect when an officer located a male matching the description of the suspect in the 2000 block of Hinkle Ave. Once the male saw the officer he began to run, officers gave chase and he was taken into custody at 2:26pm; he was transported to the Killeen City Jail.